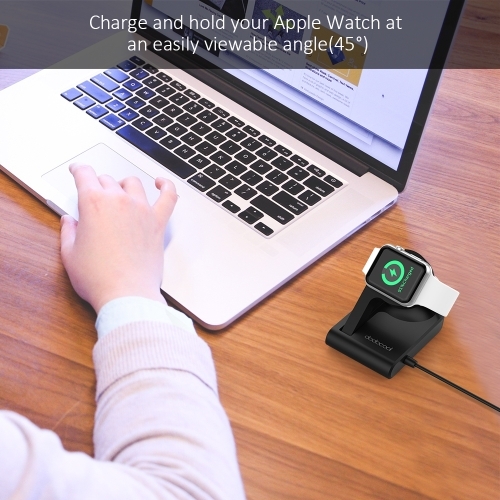 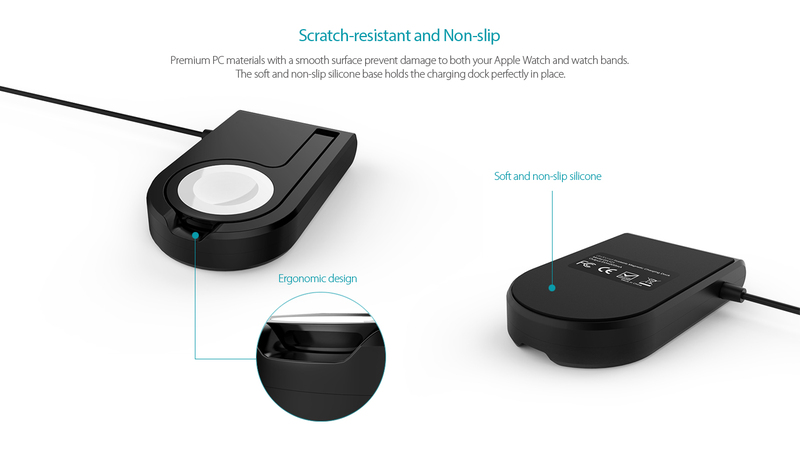 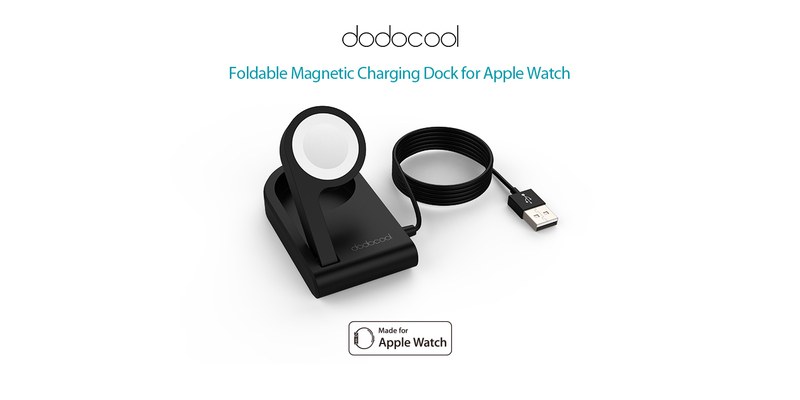 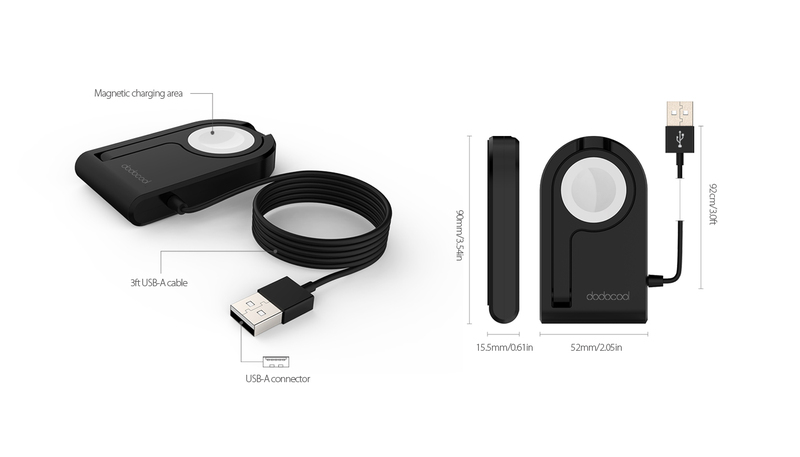 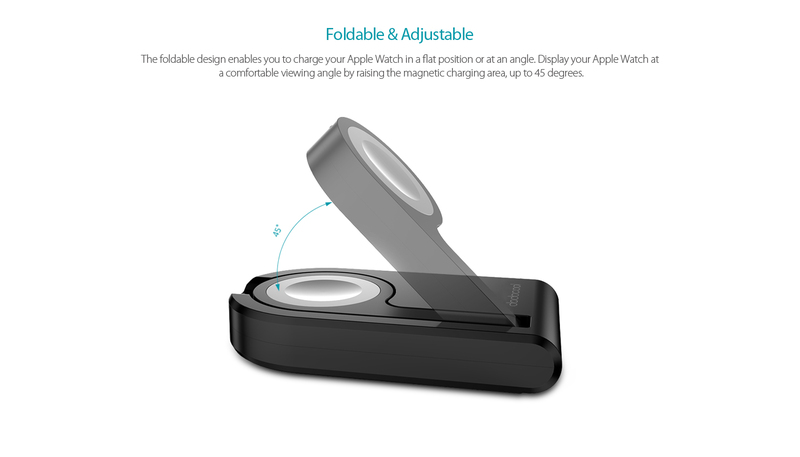 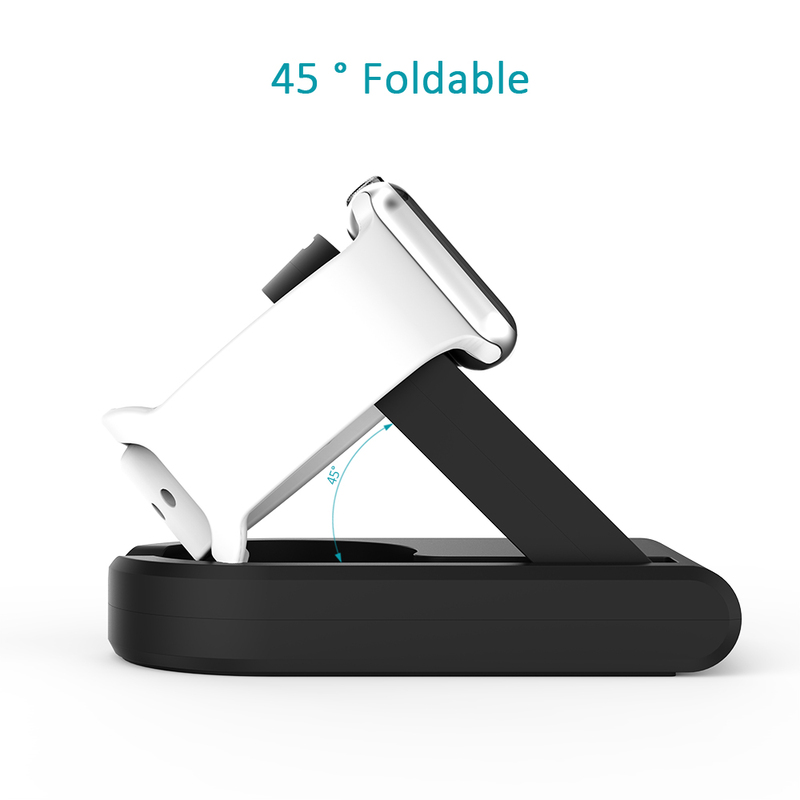 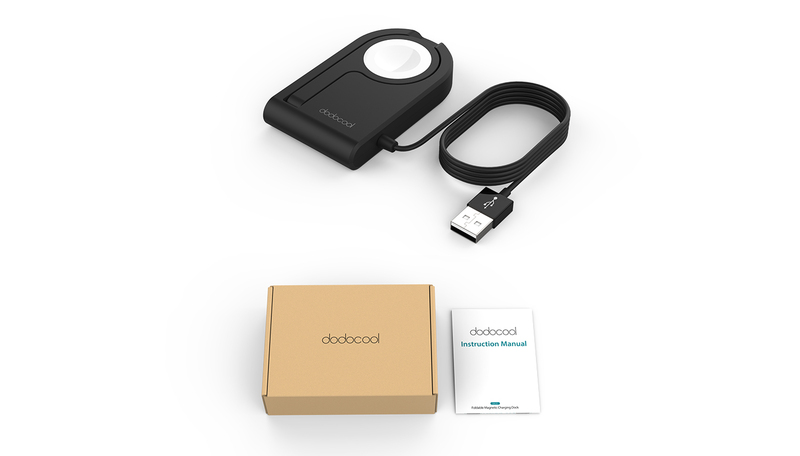 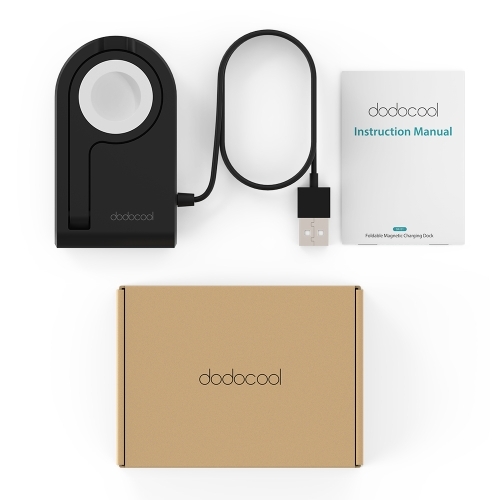 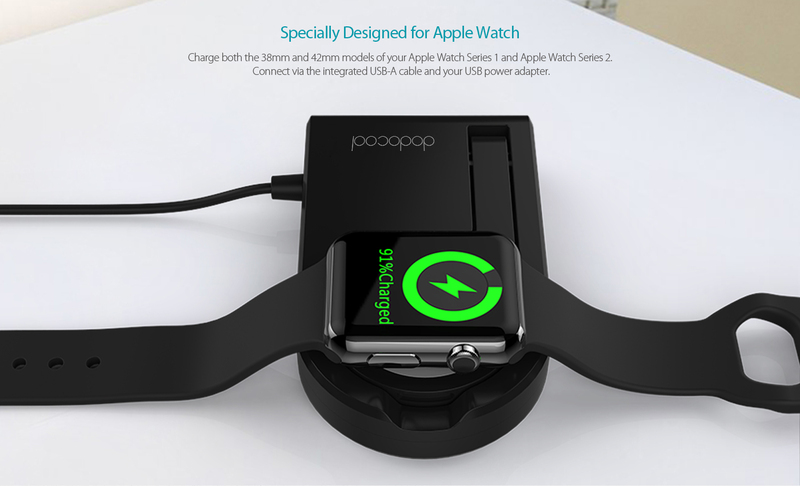 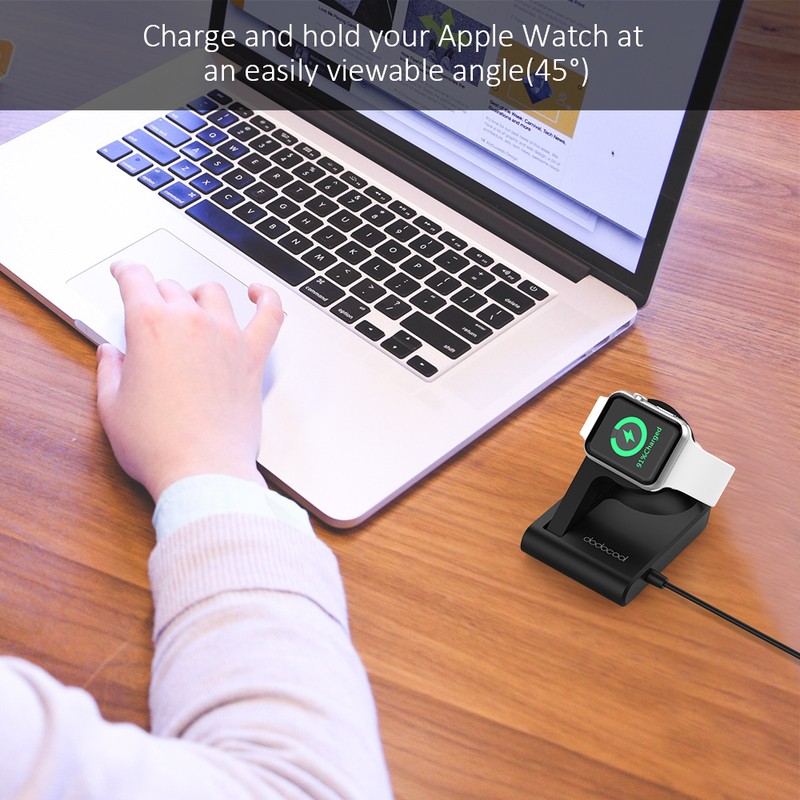 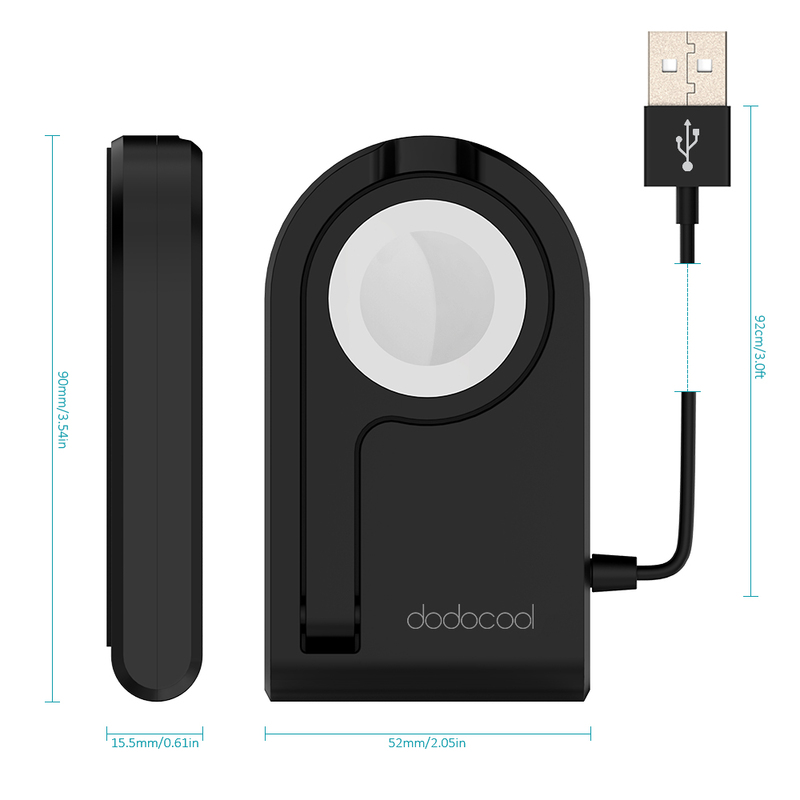 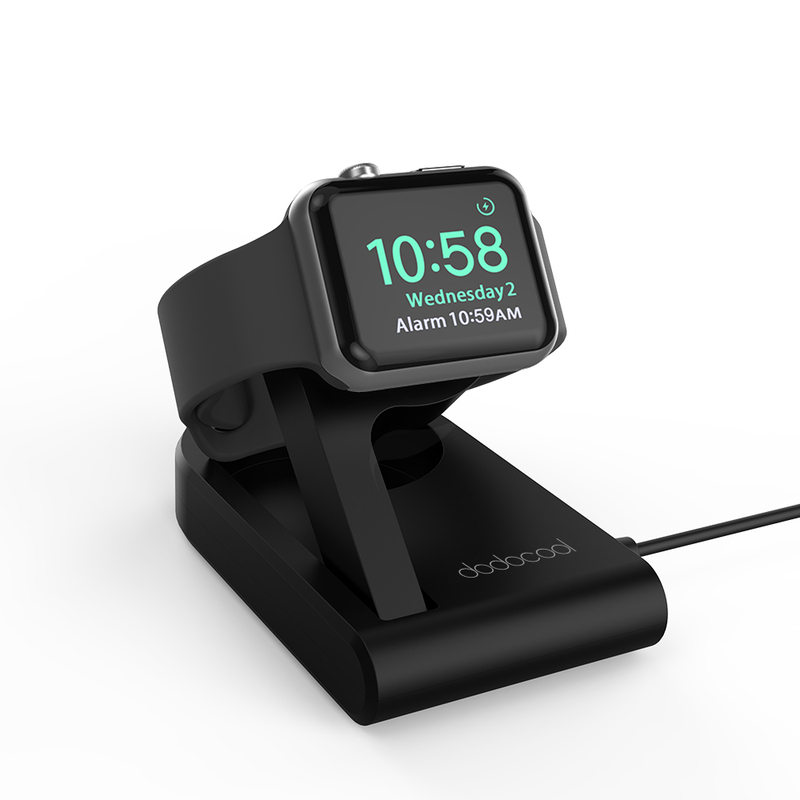 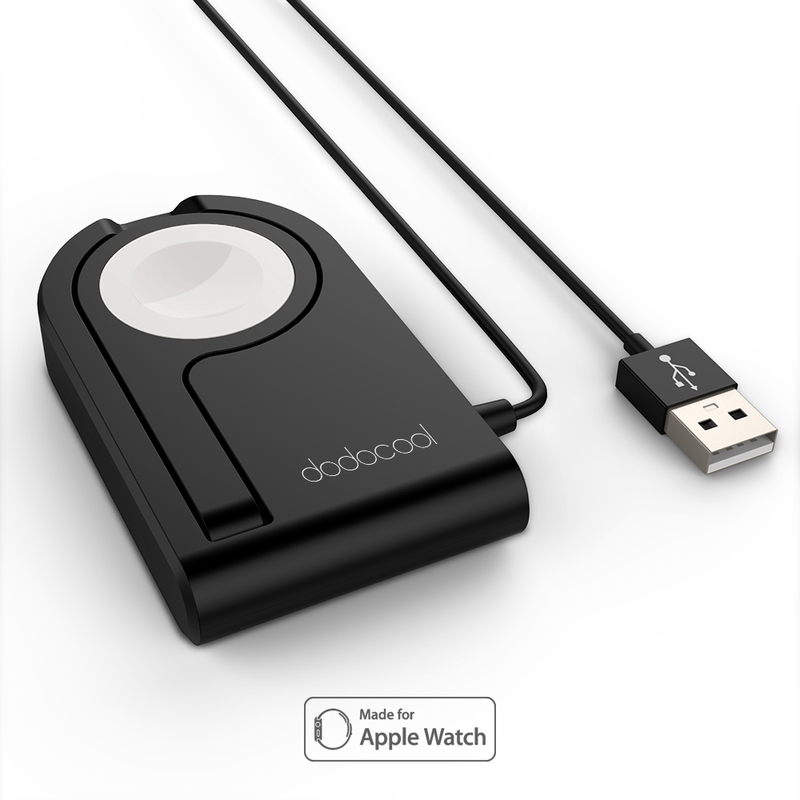 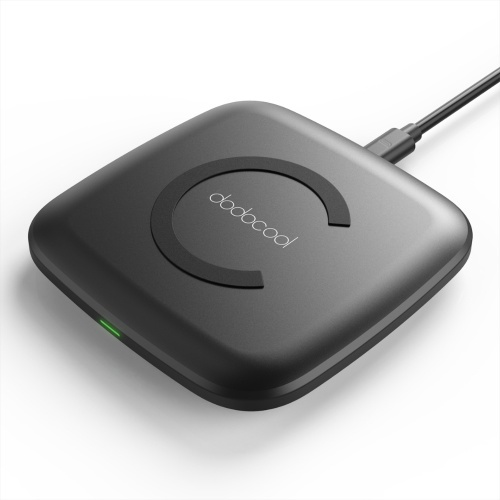 dodocool Foldable Magnetic Charging Dock for Apple Watch features a sleek base with a foldable magnetic charging area in the center and an integrated USB-A power cable at the back. 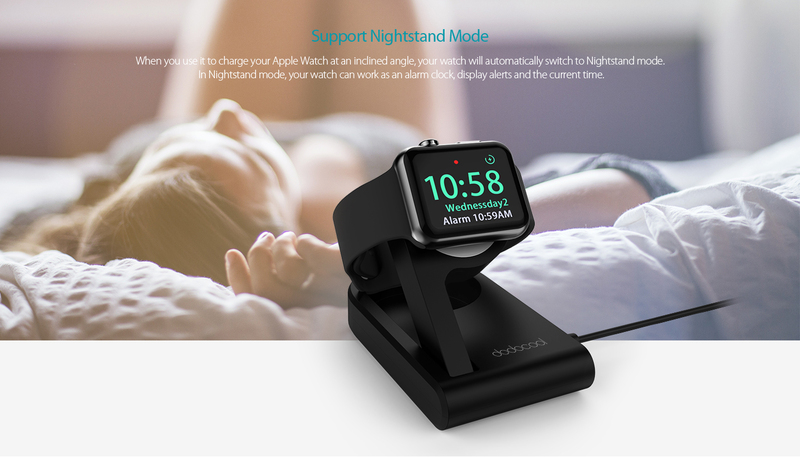 It is compatible with both the 38mm and 42mm models of your Apple Watch and supports Nightstand mode. Charge both the 38mm and 42mm models of your Apple Watch Series 1, Apple Watch Series 2 and Apple Watch Series 3. Connect via the integrated USB-A cable and your USB power adapter. 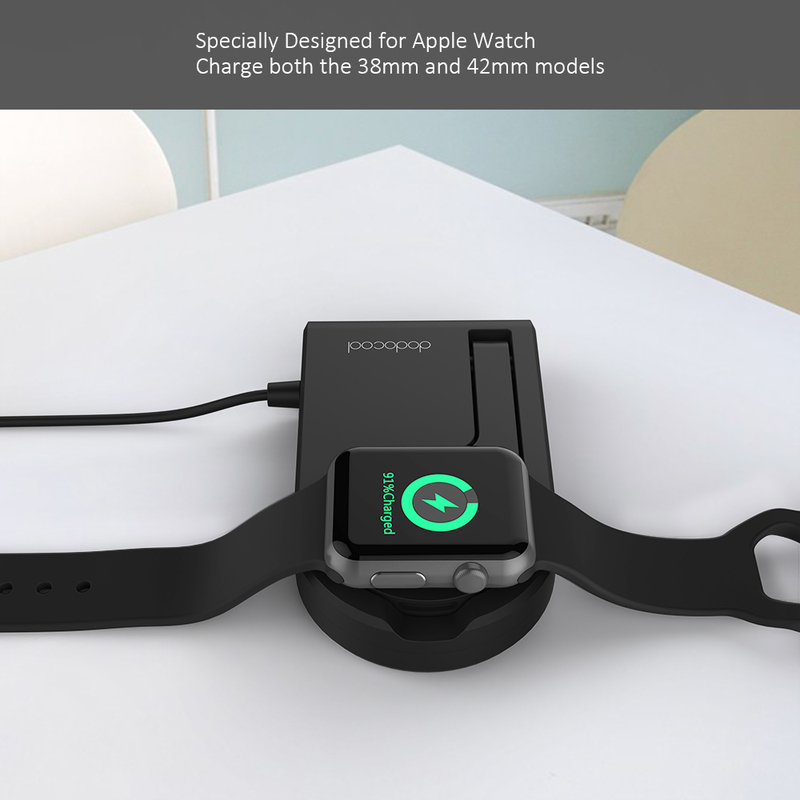 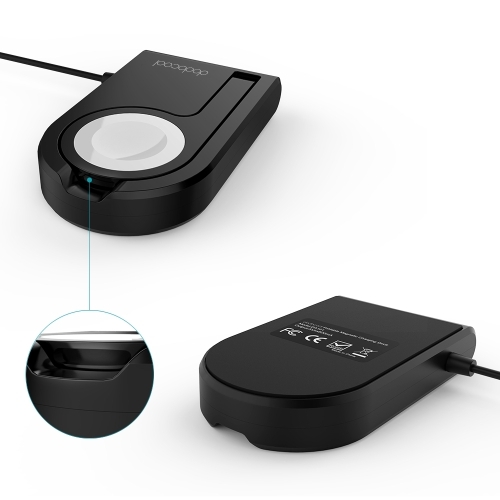 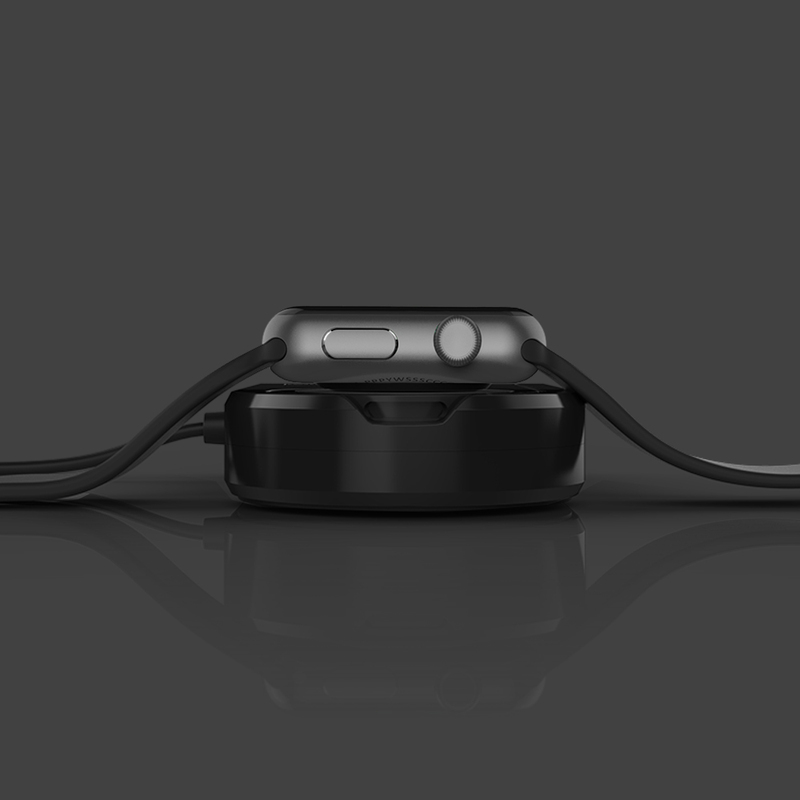 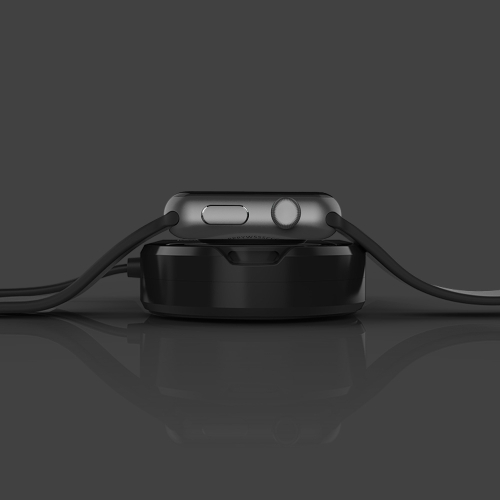 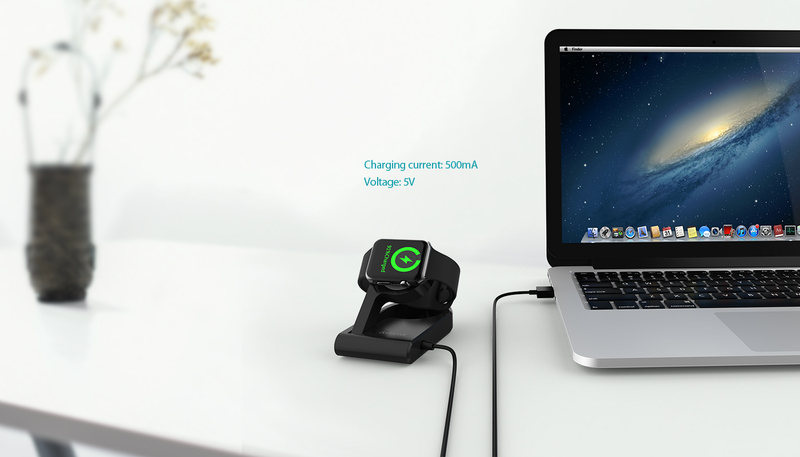 The magnets inside automatically align the charging area with your Apple Watch and inductive charging begins instantly, providing easy and convenient charging and stable holding. Charge and display your Apple Watch in a flat position or at an angle of up to 45 degrees by raising the magnetic charging area. 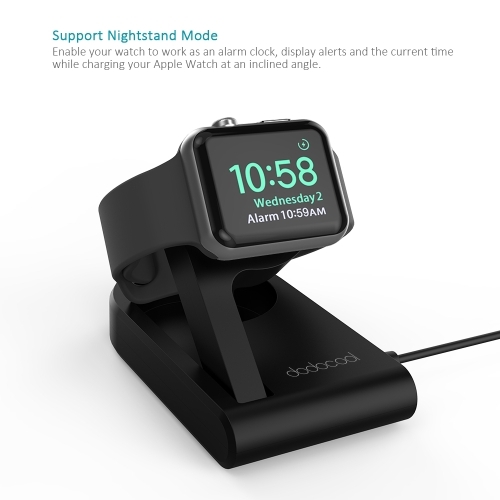 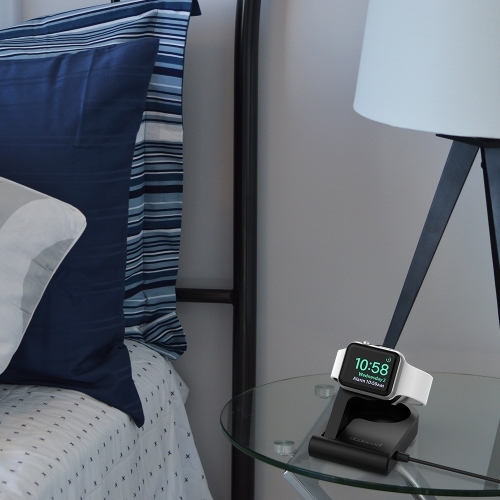 When you use it to charge your Apple Watch at an inclined angle, your watch will automatically switch to Nightstand mode. In Nightstand mode, your watch can work as an alarm clock, display alerts and the current time. 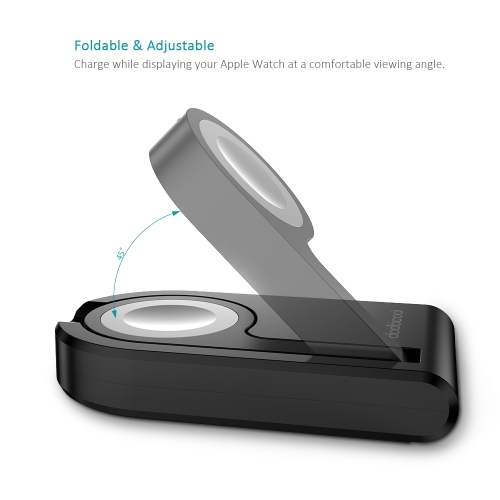 Premium PC materials with a smooth surface prevent damage to both your Apple Watch and watch bands. 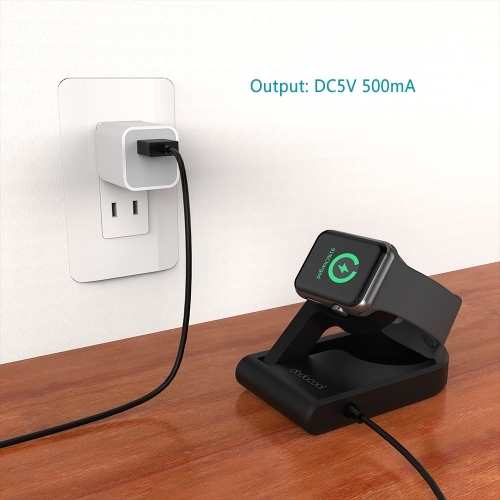 The soft and non-slip silicone base holds the charging dock perfectly in place. 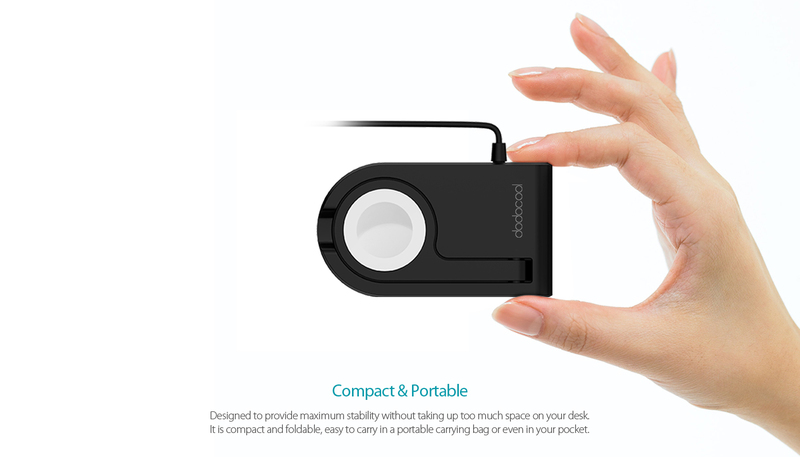 Designed to provide maximum stability without taking up too much space on your desk. 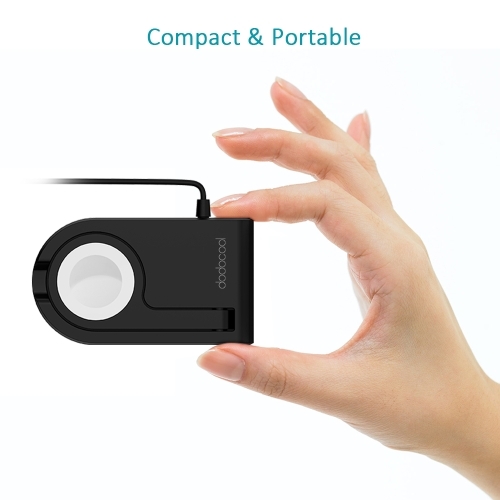 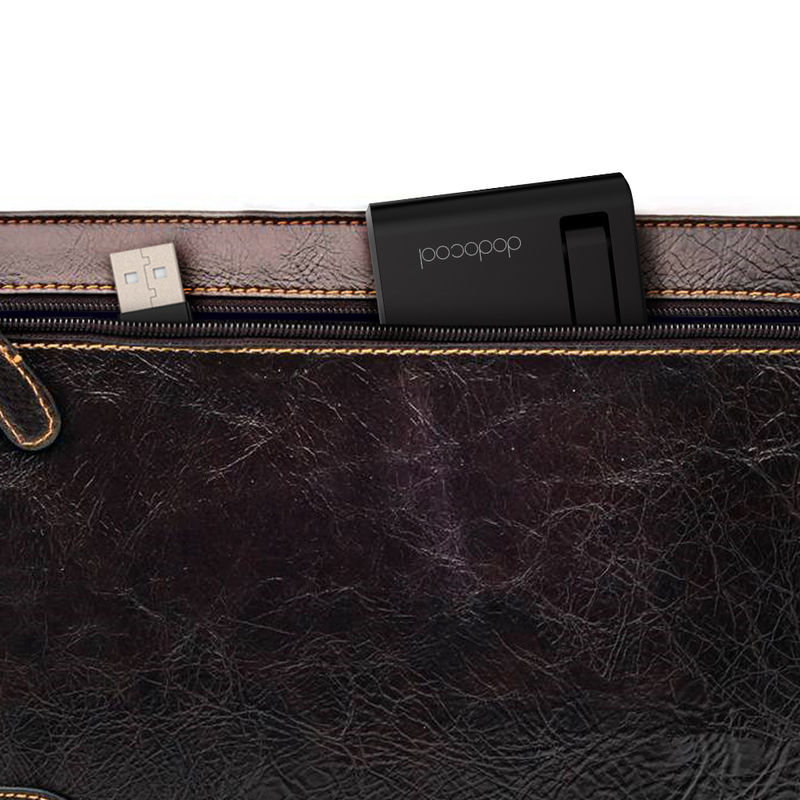 It is compact and foldable, easy to carry in a portable carrying bag or even in your pocket. 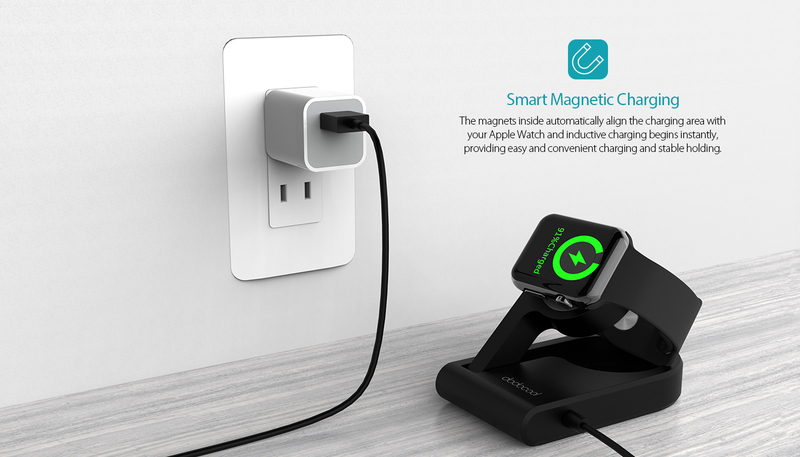 Note: Include one Magnetic Charging Dock ONLY! 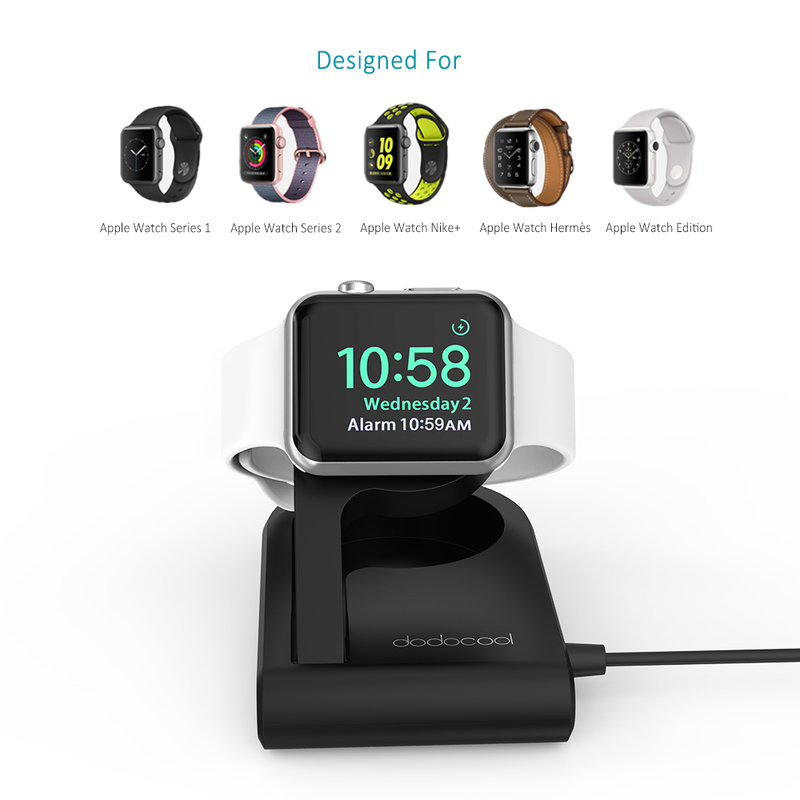 Apple Watch, the USB power adapter or other accessories are not included.